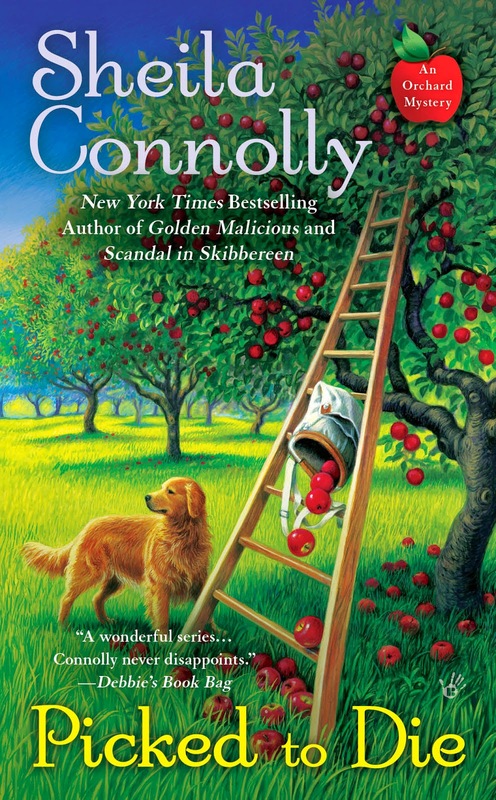 I like my job, working with Meg Corey in her orchard. Well, technically I’m working for her, but she definitely does her share of the work. And this year’s harvest is looking pretty good, considering the drought we had this past summer. But Meg has a hard time focusing because she keeps getting involved in solving murders. And now she’s done it again, right in the middle of the harvest. Lousy timing. Okay, she does have a good reason this time around. The guy who died was the nephew of one of the pickers who worked for us last year. He didn’t come back because he wanted to help out his nephew and get a job for him. Problem was, the nephew didn’t want to do the hard and dirty work of picking, so he kind of quit, and then he ended up dead. Oh, right—I should mention he was Jamaican, like me, and there are rules and regulations for getting a job as a temporary agricultural worker. His uncle really made an effort for this kid, so he felt bad when the kid dropped out of sight. And if that wasn’t enough, the first suspect the police looked at was this squeaky-clean high school kid—a Boy Scout, even—who just happened to be the nephew of Rick Sainsbury, who’s running for Congress from our district, and who Meg and Seth have butted heads with before. When your likely future Congressman comes around and asks for help in clearing his nephew of suspicion of murder, it’s kind of hard to say no. Besides, having him owe you a favor can’t be a bad thing. Come to think of it, it’s a wonder Meg gets any work done in the orchard, with all these distractions. It’s a good thing I know what I’m doing, and I have a great team to work with. I’ll cut Meg some slack—at least for now. Like I said, it's a good year for apples! Murders can change priorities... Good luck! I love this series. The politics angle in this upcoming book is not very appealing to me, but I will read it anyway. That's how much I like this series.